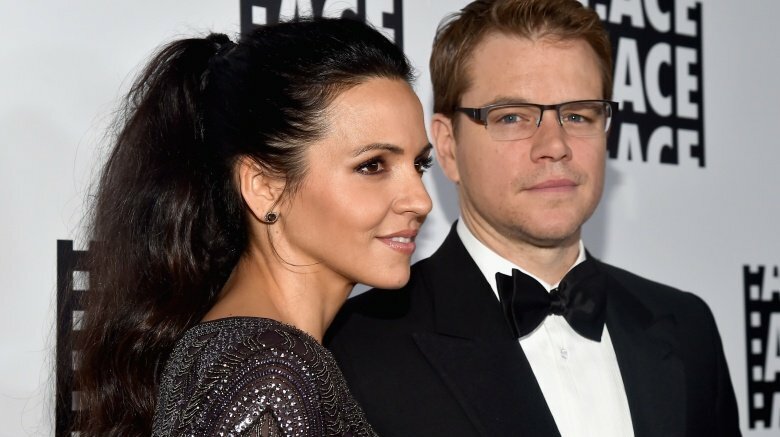 Somehow, Matt Damon and his wife, Luciana Barroso, have managed to do the impossible in Hollywood: stay married. Damon attributes their longevity to a combination of remaining low-key and just being lucky enough to find each other. Barroso doesn't say much on the subject … or any subject, really, since as of this writing she's never been interviewed. As the couple enters its 13th year of marriage, we're taking a closer look at the woman Damon remains head-over-heels in love with, even if it's still just his side of the story, for now. Anyone who believes in love, fate, or basically anything that happens in a Nancy Meyers movie will take comfort in the story of how Damon met Barroso. Speaking to Ellen DeGeneres in 2011, the Oscar-winning actor revealed that everything happened by chance. "I decided to do this movie with the Farrelly brothers in 2002," he said, referring to the comedy Stuck on You. "We were supposed to shoot in Hawaii and then the movie got moved to Miami. I had never really hung out in Miami. One night in the middle of the shoot, the crew, a couple guys, said, 'We're going to get a beer somewhere.' [They] kind of dragged me along." The place they wound up at the place where Barroso, then a bartender, just so happened to be working. "I literally saw her across a crowded room, literally," Damon said. "Eight years and four kids later, that's my life. I don't know how else our paths would've crossed if that didn't happen. If all those things didn't happen." Suddenly, every single girl in America just canceled their night in with Netflix. Before meeting Damon, the Argentina-born Barroso was previously married to Arbello "Arby" Barroso, with whom she has a daughter, Alexia. Despite the divorce, Arbello told Star magazine in December 2014 that he has nothing but love for his ex-wife and Damon. "Matt, Luciana and I all have a wonderful relationship," he said. "People have been hunting me down for years, offering me money and looking for a story. But I could be living in a tent, and I still wouldn't sell them out. There is no story. Matt is a fantastic stepfather, and Luciana is a terrific mom. I couldn't possibly have asked for a better stepfather for my daughter than Matt." Awww. Damon revealed that he was even the one who taught Alexia how to drive. "She would drive last year just to school every morning," he told USA Today. "We'd get in the car and drive." Again: awww. The tabloids love nothing more than a juicy, super-sized celebrity romance. According to Damon, that's one of the reasons the paparazzi rarely goes after his family. "A lot of it boils down to luck: my wife's a civilian and that takes a lot of pressure off," he told The Guardian in 2013. "There's nothing scandalous about a guy who's married and has kids. If they come outside where I live, they are going to die of boredom — there's just nothing really going on that would sell a magazine." Granted, referring to your wife as a "civilian" may not have been the best choice of words, but we get what he meant. Ever wonder how some couples manage to stay together amid the busy and crazy life that is Hollywood? For Barroso and Damon, it comes down to the simple things — like, you know, spending time with each other. "[Barroso and I] have a two week rule," Damon told YourTango in 2013. "I'm not away for more than two weeks. I think you need to be with the person you love as much as possible. My wife is my soul mate. I don't like being apart from her." Seriously, why can't everyone be married to Damon? To the shock of everyone, Barroso has successfully managed to lay low in Hollywood. (Related Google searches of her name include "Luciana Barroso speaking.") In fact, Barroso has yet to give the kind of tell-all interview that many Hollywood wives get roped into. Instead, she's only seen at movie-related events with Damon or when the couple is out and about with their four daughters, three of whom Barroso has with Damon. To which we say: respect! If you haven't picked up on this by now, Damon loves his wife. Like, really, really loves her. 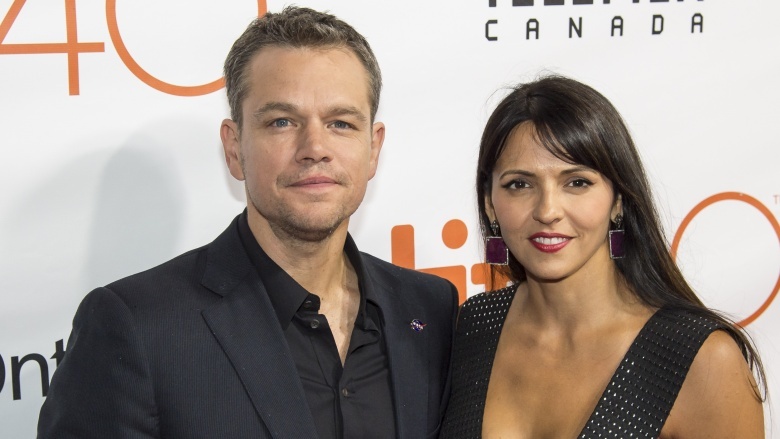 Throughout his promotional tour for The Martian in 2015, Damon had nothing but glowing things to say about his leading lady, often referring to her as "incredible" and the person who keeps him grounded. What's their secret? Speaking to Entertainment Tonight later that year, Damon said it all boils down to luck. "I think marriage is insane," he admitted. "It's a crazy idea but I love being married to my wife — I'm lucky I found my wife. And I guess maybe, if there's any secret — it's to feel lucky." 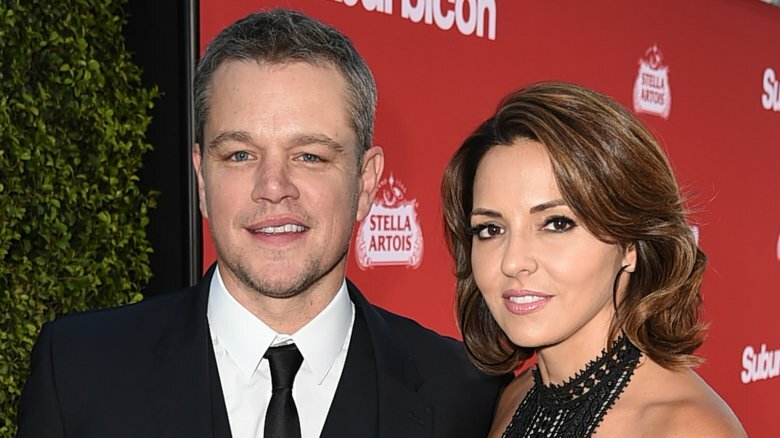 Unlike many celebrity couples, Barroso and Damon chose to tie the knot the quiet way. They said "I Do" during a top-secret ceremony inside New York's City Hall. The reason for the secrecy was because the press caught wind of their plans to wed in Miami, where they lived at the time, so they decided to fly to NYC where no one was expecting them and just "nip it in the bud," Damon said of the Dec. 9, 2005 ceremony. 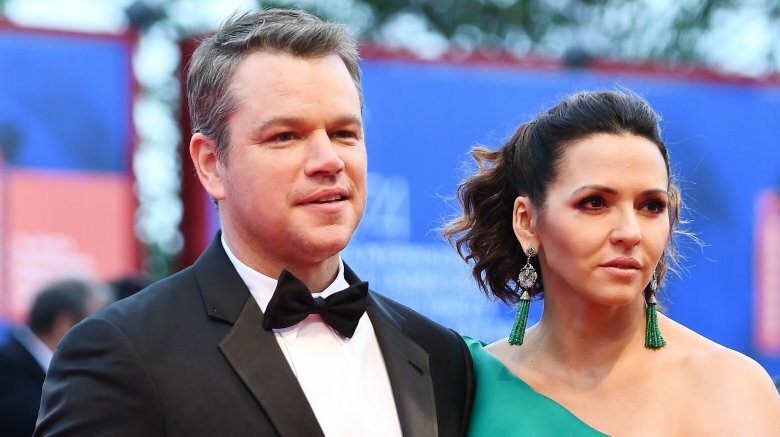 According to People, Damon proposed in September that year; by the time they got hitched, Barroso was three months pregnant with the couple's first biological child together. The ceremony was attended by Barroso's then-7-year-old daughter, Alexia, and "some friends," one of whom was not Ben Affleck, according to The New York Times. Just four days prior, Affleck's then-wife, Jennifer Garner, had given birth to their firstborn, Violet. According to E! News, the couple made a pact after getting married to have a "big celebration down the road." That they did in April, 2013, when they renewed their vows during a reported $600,000 ceremony in Saint Lucia. Among the famous faces who attended: Damon's good friend, Jimmy Kimmel, who shocked guests when he announced he'd be officiating the wedding. Guests were treated to a lavish and romantic ceremony, during which Barroso proved she's actually really, really funny. In her speech to Damon, she vowed "to take the side of the bed closest to the bathroom no matter where on earth we are," among other things, reported E! News. Then, things got emotional when she vowed "to be the mom our four beautiful girls deserve — and no matter what unpredictable direction life takes us in, to be right next to you loving you with everything I have." Ugh. Anybody got a tissue? In an interview with People, Elsa Pataky, spilled the beans on her BFF status with Barroso. 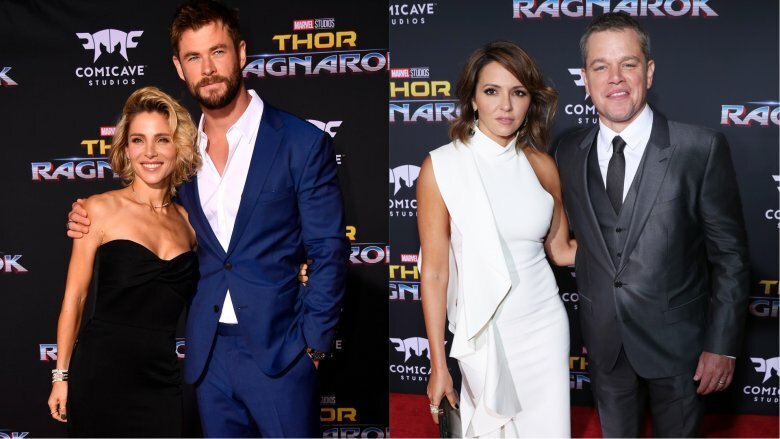 Pataky, who is married to Thor star Chris Hemsworth, said that after she met Barroso "through mutual friends," they hit it off so well that they started vacationing together. We're not just talking about going halves on a beach house at the shore. They've traveled to Costa Rica, Monaco, and Australia. Much of the famous friendship has to do with the families being a great match. Both Pataky and Barroso are native Spanish-speakers, which must come in handy when it's time to complain about Hemsworth and Damon right in front of their faces. Then there's the kid situation: The Hemsworth-Pataky brood has three, and the Damon-Barroso clan has four. Though getting a table at a restaurant may be tough, it sounds like they have a blast together. In fact, Pataky also said that she and Barroso have become so tight they even got matching tattoos. "A few friends, we got together and we felt like we had to have something to remind us of those great moments we stayed together, and we decided to get a little tattoo [of three dots on their pinkies] all together and we say 'We'll have to do one every year,'" she told the tab. Sorry, but we have to ask: Do Damon and Hemsworth have matching tats? Sub-question: How does Ben Affleck feel about it if they do? While it's clear that Barroso is more than a special lady in Damon's life, a bit more evidence to that fact is her wedding band. Actually, both Barroso and Damon's wedding bands are unique because they both feature a hidden dedication comprised of "six little diamonds" from Damon's grandmother's wedding band. "We took three of them and we put them on the inside of my band, and then we took three and we put them on the inside of her band," Damon told Parade. Damon said the sentimentality in using the stones was about how his grandparents weathered the Depression together and still made it "for over 60 years." In Damon's words, "It wasn't about the ring; it was about the marriage. So [the diamonds are] not visible, but we're hopefully carrying the best part of that union with us." Yep, that is officially one of the most romantic things we've ever heard. Who knew Jason Bourne had it in him? 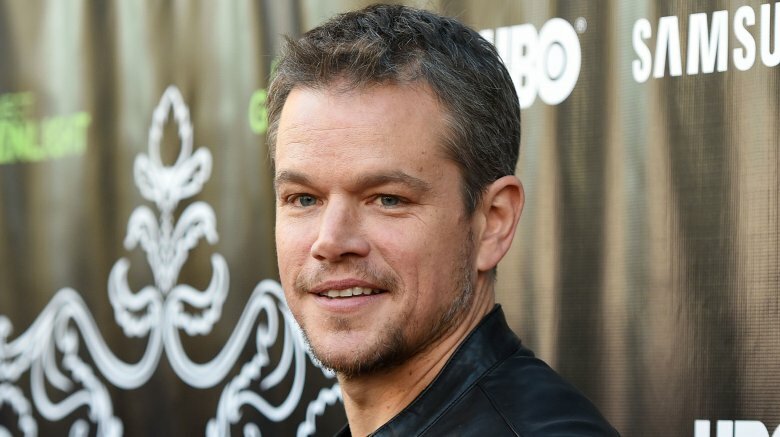 As his varied film career can attest, Damon is constantly either bulking up, like he does for the Bourne series, or letting himself completely go, like he did for The Informant – he gained 30 pounds for the role. Either way, Barroso doesn't mind, at least, according to Damon, who talked about his fit-to-flab fluctuations with interviewer Kjersti Flaa while doing press for Elysium. 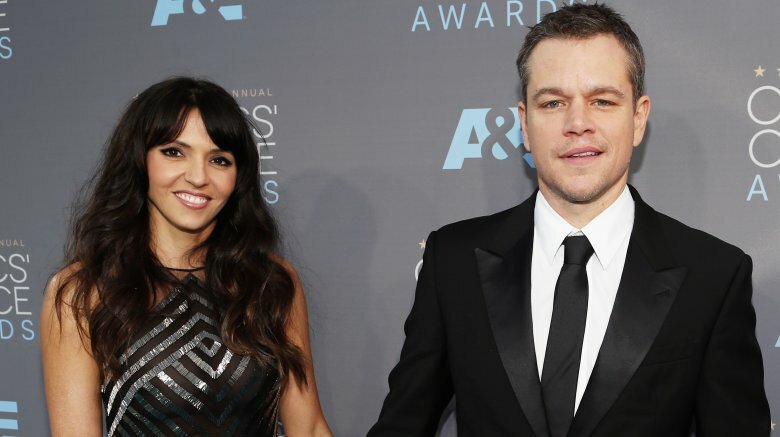 "She definitely liked hanging with this guy for six months — she was into that," Damon said, referencing his Elysium character's shredded physique. "But on The Informant," he continued, "She still loved me. She would say, 'There's just more of you to love.'"